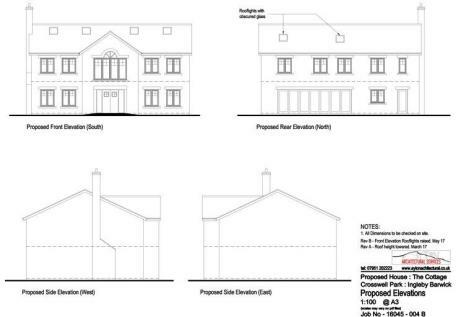 The site has planning permission for the construction of one dwelling (reference 16/2997/FUL). Planning consent was granted on the 28th September 2017 subject to 9 conditions. Situated at Ingleby Close Farm, Ingleby Barwick.